Back to school is an exciting time in our house. To prepare for the new school year, the minnies and I make numerous pilgrimages to buy school supplies. There’s something so nice and special about new school supplies. Even as an adult, I love looking at a fresh box of 64 Crayola crayons. I vividly remember buying old school Trapper Keepers, boxes of crayons, and Mr. Sketch smelly markers with my mother when I was in middle school. 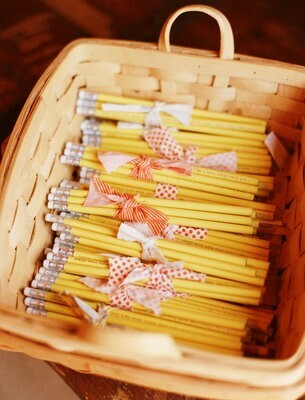 A few years, my mom would surprise me with personalized pencils; it was the start of my love of all things monogrammed and personalized. The minnies and I are like kids in a candy store when we look for school supplies. At home, we have school supply drawers and art drawers for homework and projects. Since I'm a teacher, back to school fun isn't just for my daughters. Setting up my classroom every year is such a fun task and the girls are wonderful helpers. I'm constantly thinking of special little gifts to brighten someone's day and I love to give a small token to the girls' teacher for back to school. 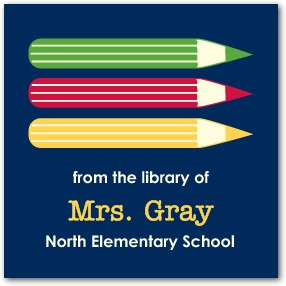 Personalized stickers, note cards, or stationery are excellent gifts that teachers can use in the classroom. Tiny Prints has a wonderful selection of cards, stickers, and room decor for back to school. These stickers are a perfect way for the girls' teacher to label books in her library, don't you think? How do you prepare for back to school? 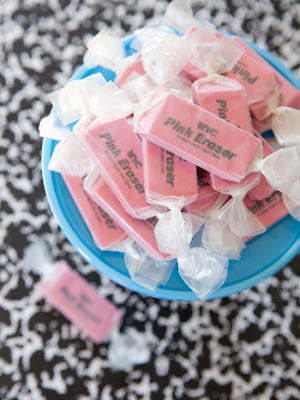 Do you give a small gift to your child's teacher at the beginning of school? P.S. Congratulations to "Simply Sara." You're the lucky winner in the 2 Preppy Girls monogrammed spa wrap giveaway! Please contact me to coordinate your win. Thanks to everyone who participated. Back To School has always been my favorite time of year. New school shoes (as we've already discussed), bouquets of freshly sharpened pencils (I think that's a line from "You've Got Mail"), and the fresh start that comes from a new school year. Since her preschool days, I have always given her teachers "An Apple For The Teacher" gifts on the first day, but instead of an actual apple it is apple scented hand soap, lotion, and votive candles. Just my way of letting them know I appreciate them being part of my little girl's village of adults. Since we are still Pre K I think we have this to look forward to!! 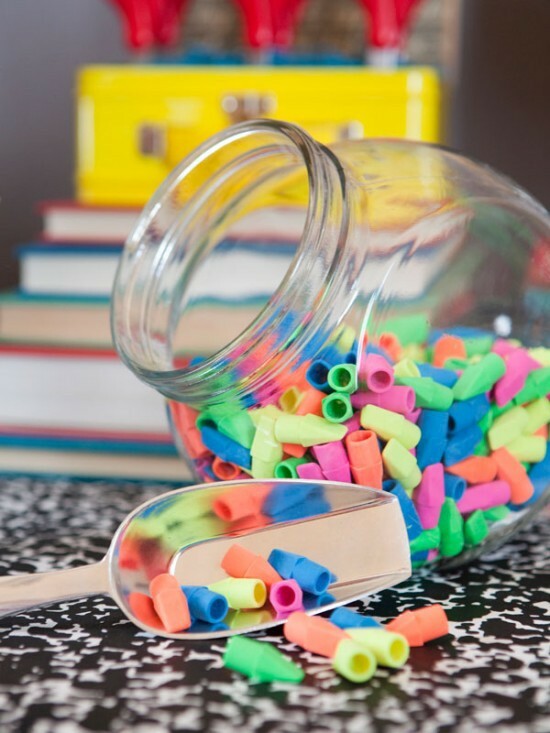 Confession: I bought like 100 neon erasers for the bar exam. I really only needed one. But come on now, what is better than a HOT PINK neon eraser?!? Even adult's need such a thing. I have always loved school supply shopping! I love the photos you posted, so cute! 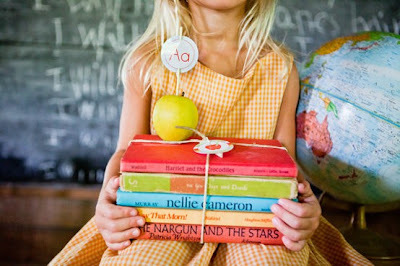 I think the personalized stickers are a wonderful gift for your girls teachers. 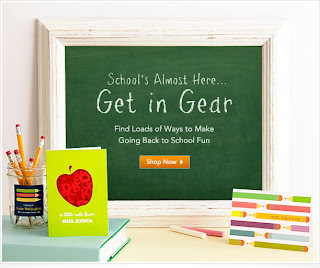 Can't wait to see pictures of your classroom :) I just stocked up on Lilly notebooks for my classes this year! Hey there, did you get my email, I think I sent it, about the spa wrap? We're taking personalized hand sanitizer for the teachers on Open House night...and these are HIGH SCHOOL teachers. They always seem to love the treats we give them.